After the disaster of Star Trek – The Motion Picture, things didn’t look that great for the second film based on the successful and popular TV series of the 60’s. So to save the series, they looked back at episodes of the show and came across a character that they could return to. Space Seed was the perfect candidate and that character was Khan, a genetically engineered superman with a huge IQ was the perfect adversary for the now aging crew of the USS Enterprise. 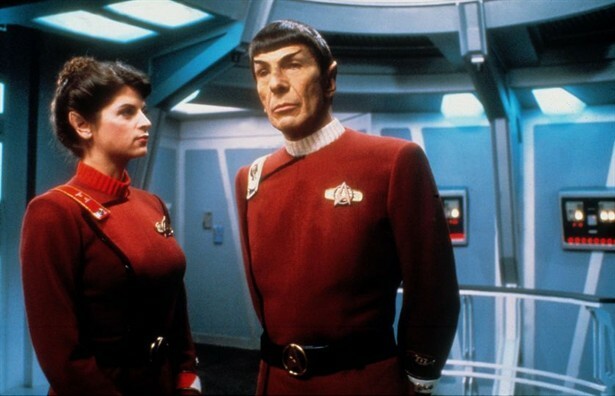 The rest, as they say, is history, for Star Trek II: The Wrath Of Khan became the best of the original’s movie career and is still regarded by some as the best Star Trek film, period. Me included. Having to cope with promotion which means he’s no longer travelling around the universe, Admiral Kirk is struggling. Wanting one more chance, he takes a team of rookies along with Spock, Bones and his original crew on a training mission, not realising that they would become involved in a rescue mission to a scientific space station where old flame Carol Marcus has been working on a new missile that creates new life on deserted planets, called Genesis. Kirk finds himself coming face to face with a forgotten adversary, the genius Khan, who wants the Genesis project for himself as well as revenge on the man who sent him into exile: James T. Kirk. Star trek II is like a ripe onion. There are so many layers and so many thing s you can take away from it. If you want a decent, rip-roaring space adventure, then this is it. If you want an examination of friendship and coping with old age, that’s here too. If you want a revenge thriller, tick that one-off and if you want a film that deals with death and our own immortality, then yes, you get a healthy measure of that too. 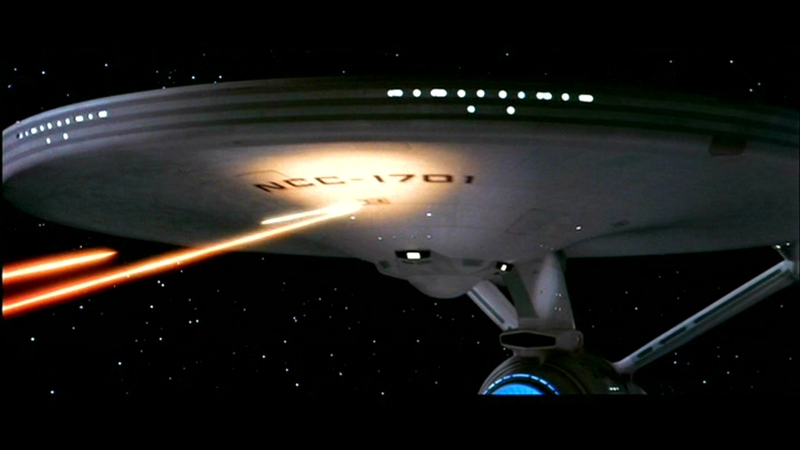 The trouble with the first Star Trek film was that it took itself far too serious for a story that mainly deals with a lost satellite. Here we got proper character development, with a strong villain and set pieces that made you feel like you were watching the TV series, only bigger. Having lived with the characters throughout my childhood, it was interesting that we got to learn so much more about them here, how close they really were and their own fears. None more so than the relationship between Kirk and Spock, which makes the final scenes so heartbreaking. Remembering that we didn’t think there would be a Part 3, we thought the finale was…the finale. It also helped that Khan was such a tasty bad guy, who could have quite easily been ripped out the pages of a Shakespearean tragedy. Recreating the role from the original episode, Ricardo Montalban took the bull by the horns and spouted his lines like they were classics from the theatre, giving his Khan much more depth than most villains. Yes, it’s panto stuff but he relishes in it and you will often see him popping up on top ten villain lists. The rest of the crew wear their characters like comfortable slippers. 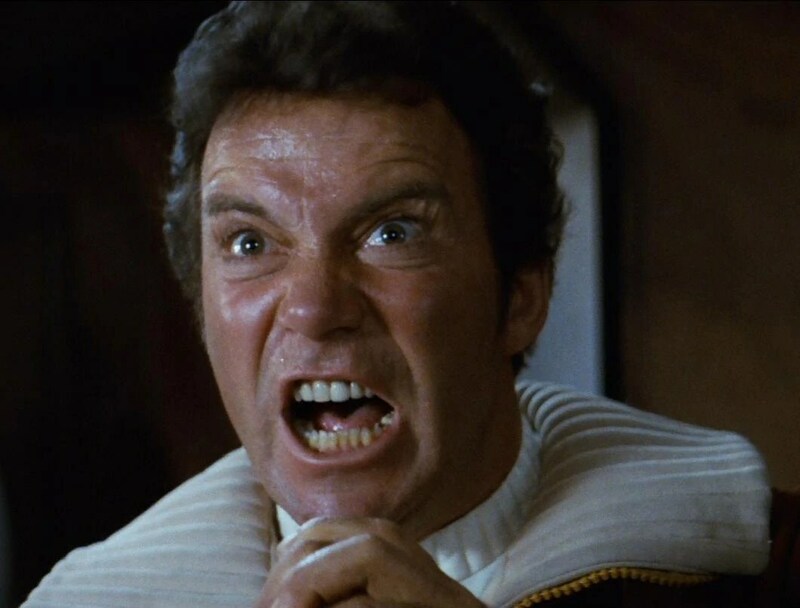 We all know that DeForest Kelley’s Bones is a grumpy old man who seems to be getting grumpier by the day but the joy is watching William Shatner giving it all he’s got as Kirk, especially in the now legendary “KHAN!” shout (a moment which you really need to see in a cinema full of fans of the movie). 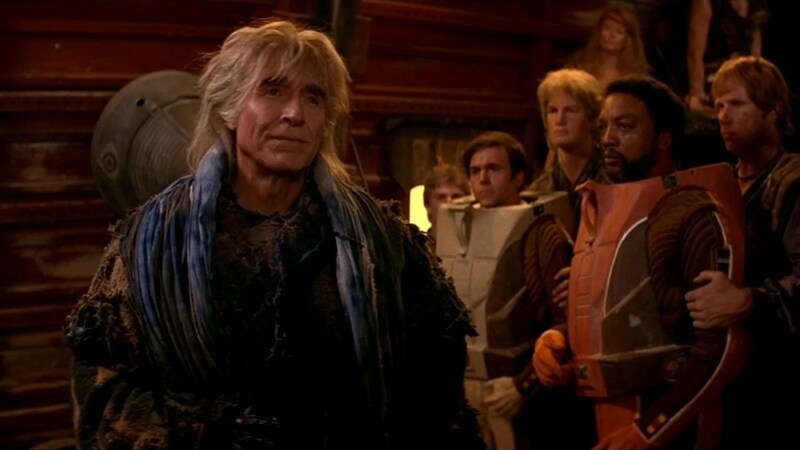 Star Trek II: The Wrath Of Khan might not be the greatest science fiction film ever made but certainly deserves to sit alongside some of the best and it’s a film that you can return to again and again and notice something more every time. Plus, it has that ending that gives it a feel of a 70’s drama and as far as downbeat goes, this way, way down there.